O. Grant Bruton engages in business litigation, including cases involving insurance coverage, estates and eminent domain. He has had a varied appellate practice for more than fifty years. Appointed Special Justice on the Supreme Court of Kentucky. A land owner’s right to redress for an unauthorized attempt to condemn his property, Leggett v. Sprint Communication Company. In Kentucky Milk Marketing and Antimonopoly Commission v. The Kroger Co., the Supreme Court of Kentucky upheld a grocery chain’s right to sell milk products at competitive prices. 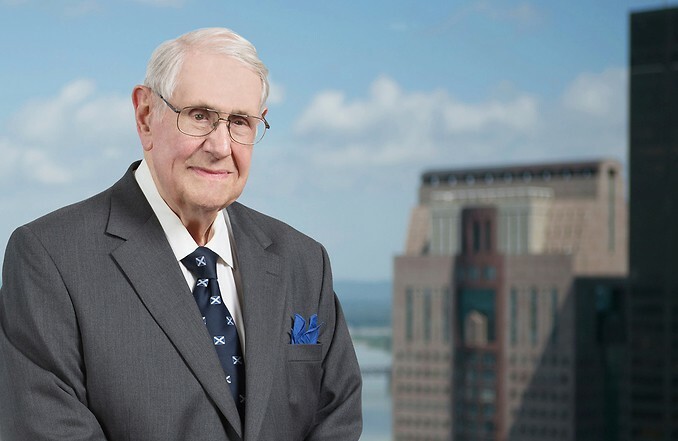 Mr. Bruton led the appellate team in that case that persuaded the Court to strike down what was euphemistically called “The Milk Marketing and Antimonopoly Act,” which gave rise to an article in the business section of the local newspaper, entitled: “O. Grant Bruton, Good Guy in a Gray Hat.” The article pointed out that the same lawyer who had worn a “black hat” for obtaining utility rate increases for Louisville Gas & Electric Company, could also wear a “white hat” for lowering milk prices to Kentucky consumers.